The simple act of holding hands can ease your loved one’s pain, according to a study published in the Proceedings of the National Academy of Sciences. Holding hands can sync your breathing, heart rates and brain wave patterns, and help ease your partner’s pain. What’s more, the more empathy you feel for your partner in pain, the more your brainwaves fall into sync. And, the more your brain waves sync, the more the pain is reduced. 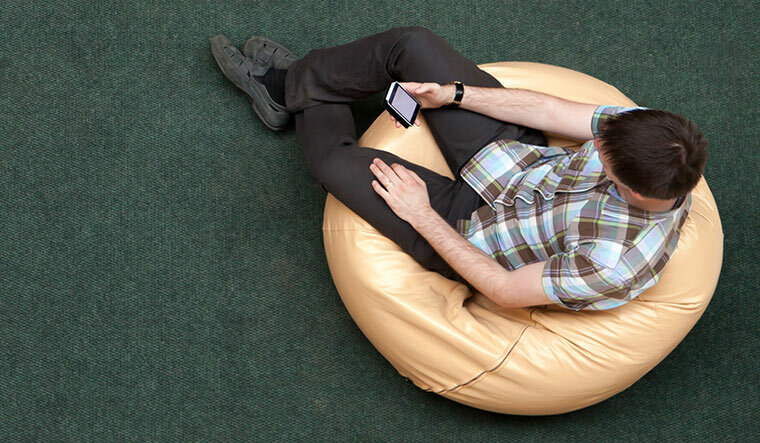 “We have developed a lot of ways to communicate in the modern world and we have fewer physical interactions. This paper illustrates the power and importance of human touch,” the study author said. Twenty two couples, aged 23 to 32, who had been together for at least one year participated in the study. They sat through several two-minute scenarios while an electroencephalograph measured their brainwave activity. They sat together without touching; sat together holding hands; and sat in separate rooms. The scenarios were then repeated with the women subjected to mild heat on their arms. Just being in each other's presence was associated with some brain wave synchronicity in the alpha-mu band, a wavelength associated with focused attention. The coupling increased the most when they were holding hands while she was in pain. But, the coupling of their brain waves diminished when she was in pain and her partner was not touching her. The more empathetic the male partner was to her pain, the more their brain activity synced and the more her pain subsided. "Interpersonal touch may blur the borders between self and the other. You may express empathy for a partner's pain, but without touch it may not be fully communicated," the study concluded. Wearing helmets may reduce the risk of cervical spine injury, especially fractures of the cervical vertebrae during motorcycle crashes, according to a US study published in the Journal of Neurosurgery: Spine. 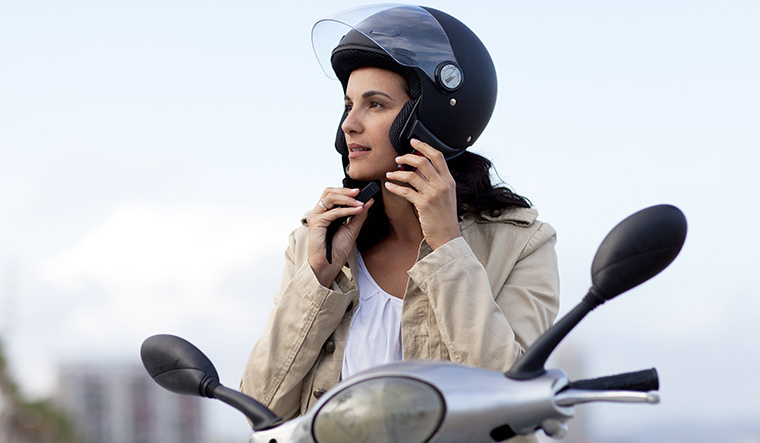 Helmets have already shown to decrease the incidence and severity of traumatic brain injury during motorcycle crashes. But, its efficacy in protecting the cervical spine during crashes is often debated. The researchers analysed data on 1,061 patients who had been injured in motorcycle crashes and treated at a level-1 trauma centre. Among them, 323 (30.4 per cent) had been wearing helmets at the time of the crash, but 738 (69.6 per cent) were not. It was found that helmeted riders had a much lower risk of injury—114 un-helmeted riders suffered a cervical spine injury, whereas only 24 helmeted riders suffered the same. In the un-helmeted group, 10.8 per cent of patients suffered a cervical spine fracture compared with only 4.6 per cent of patients in the helmeted group. Ligament injury also occurred more frequently in those not wearing helmets. “The results of this study demonstrate a statistically significant lower likelihood of suffering a cervical spine injury among helmeted motorcyclists,” the study concluded. Smokers have 1.2 to 1.6 times greater risk of suffering hearing loss than nonsmokers, and the risk increased with the number of cigarettes a person smoked daily. Doctors at Johns Hopkins have successfully transplanted kidneys infected with hepatitis C into patients without transmitting the disease. About 5 to 10 per cent of patients with late stage kidney disease die every year while awaiting a transplant. "Right now, most of the usable organs from donors with hepatitis C are discarded because there are very few hepatitis C-positive recipients on the waiting list. Figuring out how to use these kidneys is a way to do more transplants and save more lives," said Dr Niraj Desai, senior author of the study. New direct-acting antiviral medications can cure more than 95 per cent of all hepatitis C cases, and have few side effects. 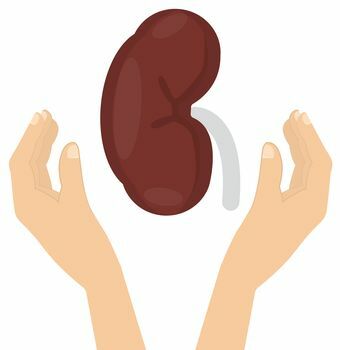 This prompted the researchers to try using hepatitis C-positive kidneys for transplant in patients without the disease. The study included 10 patients, aged over 50, who were negative for hepatitis C, HIV and hepatitis B. They received hepatitis C-positive kidneys from deceased donors aged 13 to 50. Each recipient received a dose of grazoprevir/elbasvir, an oral combination pill, before the transplant and continued taking the daily pill for 12 weeks after transplantation. In five patients, low levels of the virus were detected shortly after transplant but were undetectable within days or a week. The other five patients had no signs of the virus in their blood. The kidneys functioned well in all 10 patients. A year into transplant, all the patients were thriving. The researchers are hoping to replicate the results in a larger, multi-centre trial. If it proves to be successful, it could pave the way for other hepatitis C-positive organs, including hearts and livers, to be transplanted as well. The findings were published in the Annals of Internal Medicine. According to the US Food and Drug Administration, heart disease patients who take the antibiotic clarithromycin have a potentially increased risk of heart problems or death even years after taking the drug. Clarithromycin is used to treat many types of infections affecting the skin, ears, sinuses, lungs and other body parts. The warning is based on a ten-year follow-up study of patients with coronary heart disease, which found an unexpected increase in deaths among heart disease patients who took clarithromycin for two weeks and had been followed for one year or longer. However, there was no clear explanation as to how clarithromycin would increase the risk of death in heart disease patients. The agency is urging doctors to weigh the benefits and risks of clarithromycin before prescribing it to any patient, especially those with heart problems. They should consider prescribing other available antibiotics. Patients should tell their doctors if they have heart disease, especially when they are being prescribed an antibiotic. Regular exercise throughout your adult life can help you remain healthy in old age. 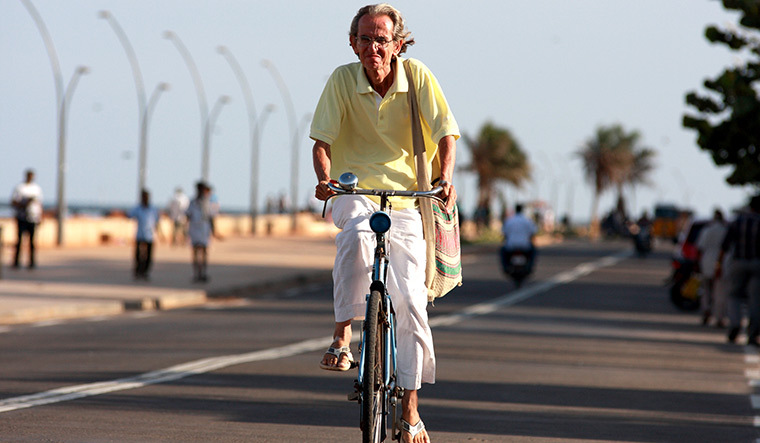 The study in the journal Aging Cell was based on 84 male and 41 female amateur cyclists, aged 55 to 79. The men were those who could cycle 100km in under 6.5 hours, while the women were those who could cycle 60 km in 5.5 hours. They were compared with a group of 75 adults aged 57 to 80, and 55 young adults aged 20 to 36, who do not exercise regularly. The cyclists did not show loss of muscle mass or strength, did not have age-related increase in body fat or cholesterol levels, and had higher testosterone levels, suggesting that they may have “avoided most of the male menopause”. Most importantly, they had an immune system that did not age and remained as robust as those of a 20 year old, which makes them less susceptible to infections such as pneumonia. “Our findings debunk the assumption that ageing automatically makes us more frail. Our research means we now have strong evidence that encouraging people to commit to regular exercise throughout their lives is a viable solution to the problem that we are living longer but not healthier,” said the lead researcher. “The findings emphasise the fact that the cyclists do not exercise because they are healthy, but that they are healthy because they have been exercising for such a large proportion of their lives,” he added. 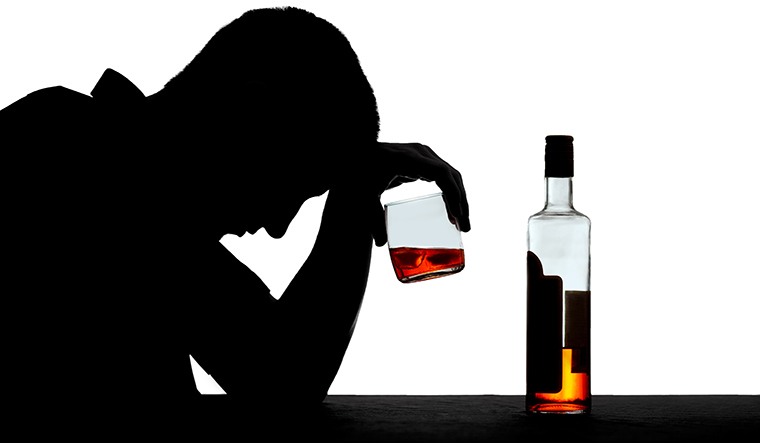 Heavy drinking can contribute to a variety of health problems. A French study published in The Lancet Public Health journal is adding dementia to the list. A review of more than a million cases of dementia found that chronic, heavy drinking was a major risk factor for all types of dementia, specially early-onset dementia—dementia that develops before age 65. Overall, alcohol abuse was associated with a three times greater risk for all types of dementia. Alcohol was a factor in 57 per cent of the 57,353 cases of early-onset dementia. Heavy alcohol use can increase the risk of high blood pressure, diabetes, stroke, atrial fibrillation and heart failure, which in turn may increase the risk of vascular dementia. Alcohol use can also cause permanent structural and functional brain damage, leading to dementia. Heavy drinking is also associated with smoking, depression, and low educational levels, all risk factors for dementia. "Our findings suggest that the burden of dementia attributable to alcohol-use-disorders is much larger than previously thought, suggesting that heavy drinking should be recognised as a major risk factor for all types of dementia,” said a researcher. The study suggests that alcohol consumption is a modifiable risk factor for dementia onset. “Screening, brief interventions for heavy drinking and treatment for alcohol-use-disorders should be implemented to reduce the alcohol-attributable burden of dementia,” the study concluded. Sexting refers to sharing sexually explicit images, videos or messages through electronic devices such as smartphones. According to a study published in JAMA Pediatrics, one in seven teens reports sending sexts and one in four is receiving sexts. With the widespread availability and ownership of smartphones among teens, sexting has become a growing problem. An analysis of 39 international studies involving 1,10,380 teenagers—average age of 15—has found that 15 per cent of teens have sent sexts and 27 per cent have received them. Even more problematic, 12.5 per cent of teens have forwarded intimate photos without the consent of the sender and 8.4 per cent had a sext forwarded without their consent. Sexting prevalence increased as the teens got older. The study found that both boys and girls equally participate in sexting. But, girls report feeling more pressure to sext than boys. Current evidence suggests that teen sexting is a predictor of sexual behaviour. The study encourages parents to have open discussions with their teens about healthy dating relationships, peer pressure, digital security, sexuality and citizenship more broadly. “Parents and caregivers should be proactive, rather than protective and reactive, about talking to their teens about sexting. It’s also important to discuss strategies for dealing with peer pressure to engage in sexting. And, to discuss the potential consequences of sending sexts, parents should emphasise cause and effect for teens. Once the videos or images have been sent, the teen forfeits control of who sees it,” the study concluded. A study of about 25,000 people found that colonoscopy reduced the risk of death from colorectal cancer by 61 per cent—46 per cent reduced mortality for right-sided cancer and 72 per cent reduced mortality for left-sided cancer. Are dentists susceptible to lung disease? A report published by the US Centers for Disease Control and Prevention in its Morbidity and Mortality Weekly Report, has identified a cluster of dentists and other dental workers dying from idiopathic pulmonary fibrosis (IPF)—a chronic, progressive lung disease of unknown cause and associated with a poor prognosis. The estimated median survival after diagnosis is only 3 to 5 years. A cluster is defined as a collection of health-related cases closely grouped in time and place. Of the 894 patients treated for IPF at a single tertiary care centre in Virginia, nine (one percent) were dental health workers—8 dentists and one dental technician. All patients were male and 64 years old on average. Seven of the patients had died. According to the report, the number of IPF cases involving dental health workers was about 23 times greater than expected. While the exact reason for the link is not known, the study authors suggest that occupational exposures may have contributed. 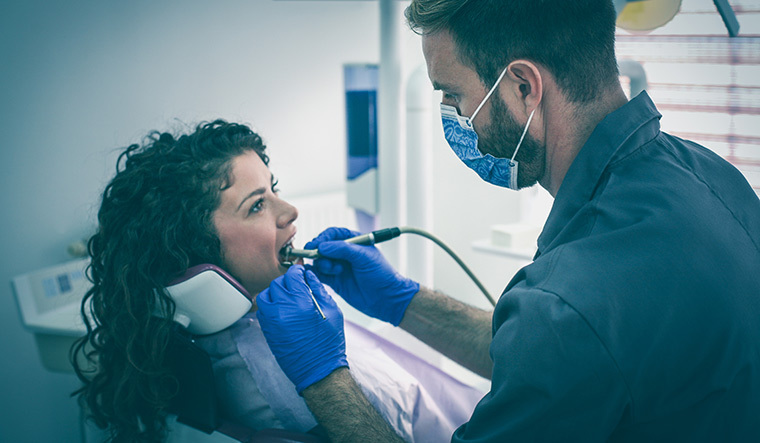 Dental personnel are exposed to infectious agents, dusts, gases, and fumes, chemicals, airborne particulates, ionising radiation, and other potentially hazardous materials that can increase their risk for respiratory diseases. “This cluster of IPF cases reinforces the need to understand further the unique occupational exposures of dental personnel and the association between these exposures and the risk for developing IPF so that appropriate strategies can be developed for the prevention of potentially harmful exposures. Dental personnel who perform tasks that result in occupational exposures to known respiratory hazards should wear adequate respiratory protection if other controls (for example improved ventilation) are not practical or effective,” the report suggests. 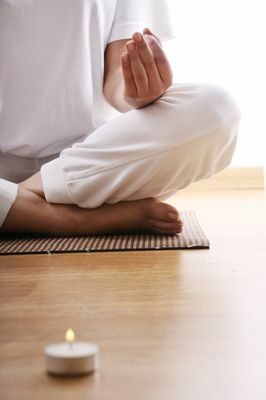 Practising mindfulness meditation may help prevent major depressive disorder in people with subclinical depression. Subclinical depression, or sub-threshold depression, refers to the presence of depressive symptoms that are not severe or persistent enough to get a diagnosis of major depressive disorder. An estimated 10 to 24 per cent of people may experience subclinical depression in their lifetime, which is an important risk factor for a major depression. A group of 231 adults with subclinical depression was randomly assigned to either a weekly two-hour session of mindfulness meditation for eight weeks or usual care without any psychological intervention. The participants’ depressive symptoms were assessed at the start of the study. They were reassessed after eight weeks, five months and 12 months. After 12 months, those who practiced mindfulness meditation were less likely to have developed a major depressive disorder—10.8 per cent in the mindfulness meditation group compared to 26.8 per cent in the usual care group. Additionally, those who practised mindfulness meditation also saw a slight improvement in depressive symptoms compared with usual care. “We have shown that BAM (behavioural activation with mindfulness) is a potentially feasible and efficacious intervention for reducing depressive symptoms and preventing major depression among people with sub-threshold depression,” the study published in the Annals of Family Medicine concluded. Babies who look like their father at birth tend to be healthier one year later. The reason—fathers spend more time with children who resemble them. Women who are physically fit in middle age have a nearly 90 per cent lower risk of developing dementia later in life, according to a study published in the journal Neurology. For the Swedish study, 1,462 women with an average age of 50 were asked to ride a bicycle until they were exhausted to measure their peak cardiovascular capacity. Among 191 women who completed the test, 40 met the criteria for high fitness level, 92 were in the medium fitness category and 59 were in the low fitness category. The women were tested for dementia six times over the next 44 years, during which 44 women developed dementia. 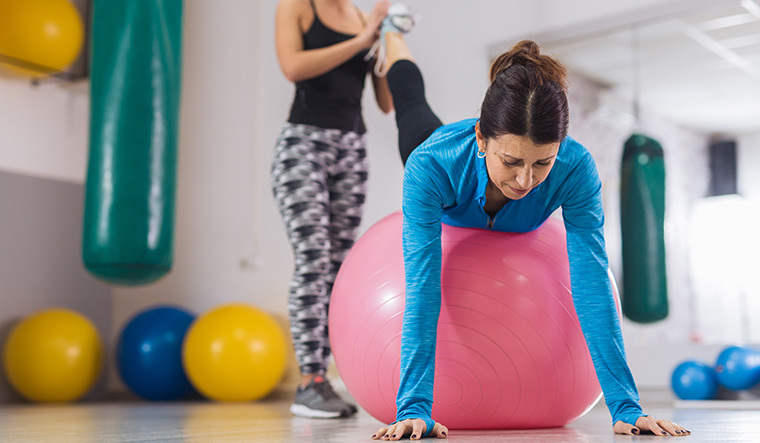 While just five per cent of the highly fit women developed dementia, 25 per cent of moderately fit women and 32 per cent of the women with low fitness levels developed dementia. Nearly half (45 per cent) of the women who could not complete the fitness test at the beginning developed dementia over the study period. The highly fit women were 88 per cent less likely to develop dementia than the moderately fit women. And, when they did develop dementia, they developed the disease at an average of 11 years later—at age 90 compared to age 79 for moderately fit women. "These findings are exciting because it's possible that improving people's cardiovascular fitness in middle age could delay or even prevent them from developing dementia," said the study author.